It's the same great all-inclusive camp, but with your Team's Coach! Our Team Camp Program offers a discount to Snowboard Teams who want to come ride our private parks with their Coaches and crew. BagJump, Minipipe™, the Olympic 22 foot Superpipe™, Endless Rails, and Jumps galore. 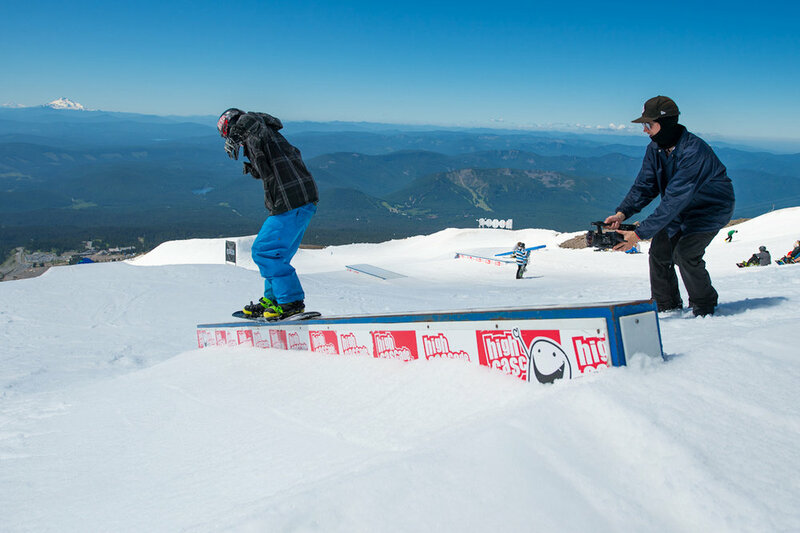 If you have questions, or would like to register your Team for a Session at High Cascade Snowboard Camp, reach out to us direct in Oregon at 503.206.8520 or email us at office@highcascade.com. By bringing 6 campers, a coach gets complimentary lodging, meals, lift tickets, demo gear, and, of course, access into our private snowboard parks and off-snow facilities. Team riders are also welcome to ride in any of the optional afternoon HCSC coach/Signature Session™ coaching clinics. Your team is assigned a counselor (or counselors) to supervise before and after snowboarding so that your coach is not solely responsible for the 24-hr care and well-being of the team during the session. Give the guy or gal a break! We take a $500 deposit to secure each spot, paid directly by the parents to us. Special payment arrangements for your group may be made if needed. Just call us at 503.206.8520 or email us.